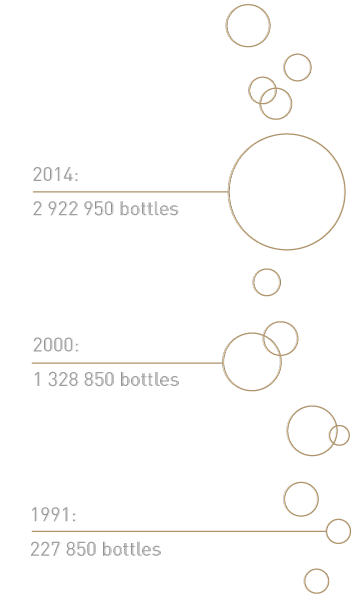 ELBLING is unjustly – although historically founded – considered as a basis for sparkling wine. Nowadays, however, there are excellent wines which are considered to be very much in keeping with the times because of their low alcohol content. A modern Elbling from Luxembourg is a lively, crispy wine with aromas of citrus fruit, gooseberry, green apple and pomegranate. RIVANER is used to produce popular consumer wines with a pleasant acid structure, which after maturation bring out fruit notes of apple, mirabelle plum, apricot, and peach as well as spicy overtones in the direction of nutmeg. These are wines for uncomplicated, day-to-day enjoyment, that are «simply good». 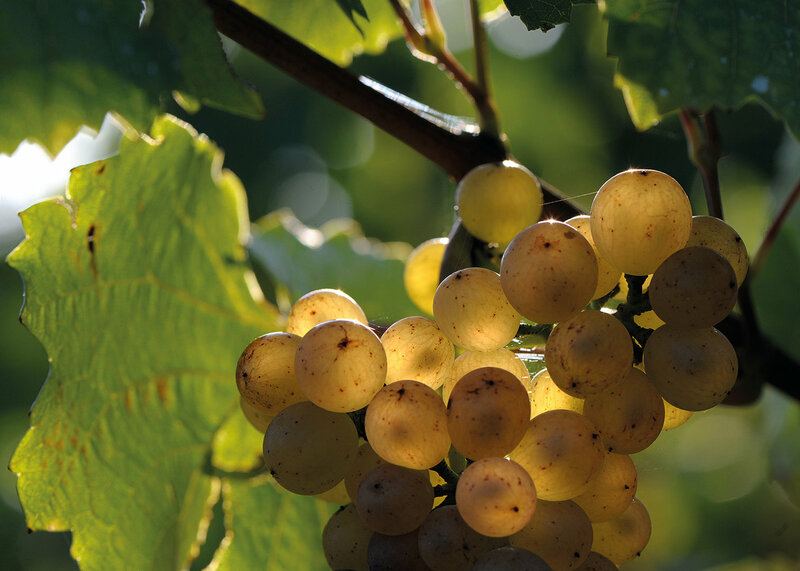 AUXERROIS is a rather rare cultivar, used to produce highly diverse, particularly gastronomic wines. Their style is rather mellow, the taste profile both fresh and fruity but also complex. The aromatic pallet ranges from melon, mirabelle, citrus fruit and floral notes, to exotic fruit, quince and notes of melting honey ( particularly in top-level wines which are matured in oak barrels ). They can evolve into long-keeping wine, reminiscent of a white Burgundy. PINOT BLANC is an important basic wine for crémant, but also a racy, fruity still wine with a lively and playful acidity and fine minerality. It excels through fresh citrus aromas, white blossoms, notes of pineapple, pear and apple as well as a hint of almonds. If Pinot blanc is matured in oak barrels, the fruity notes shift to buttery, melting overtones. 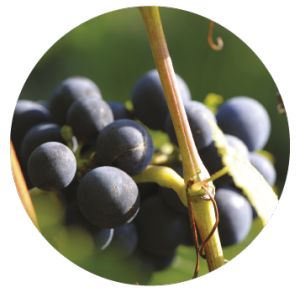 PINOT GRIS is a very popular cultivar in Luxembourg, the cultivated acreage for which has doubled in the last 20 years. Because of their specific aromas, these wines are considered an ideal accompaniment for high-end gastronomy as well as hearty, traditional fair. They stand out for their fresh, pleasant acidity and nice minerality. Connaisseurs will discover notes of yellow flowers or pears, but also dried fruit as well as nutty, roasted aromas. RIESLING is probably the best known white wine cultivar. 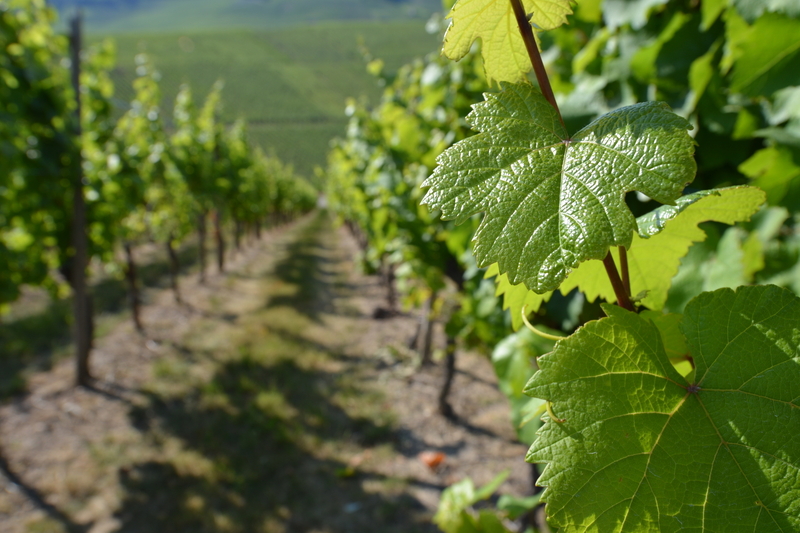 The Riesling from Luxembourg « breathes » the shell limestone soil on which the vines grow. They confer intense minerality, which seems less fruity than in wines that stem from slated soils, but are very complex and stimulating as a result. 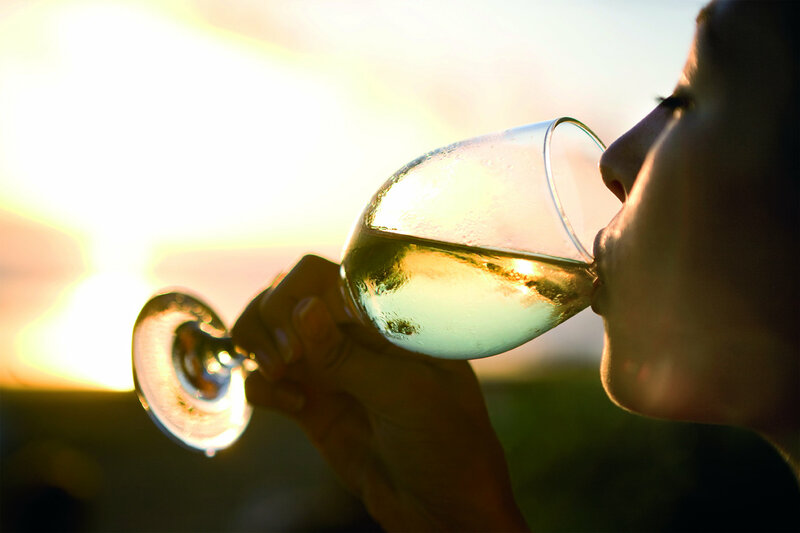 Riesling is ever so multi-facetted, whether as dry wine, late vintage or ice wine: The acidity is stimulating, the play of aromas complex (notes of citrus fruit, apple, apricot, quince, exotic fruit), plus an elegant minerality and spicy overtones. Riesling wines particularly reflect the terroir from which they stem. GEWÜRZTRAMINER presents a multitude of aromas. Whether as a stimulating aperitif or exquisite accompaniment for a cheese platter: the intensive aromas of rose, lychee, peach, apricot, orange, grapefruit and honey, together with perfect harmony of sweetness and acidity, make for singularly delightful wines. This is quality sparkling wine of the highest calibre. The name « Crémant » has been used for sparkling wine from Luxembourg since 1991, provided the legal requirements are met. An innovative spirit, awareness of tradition and creativity have combined to create, in just two decades, a product that enchants even the most discriminating connaisseurs. The crémant is based on healthy, aromatic grapes with a refreshing acidity, favoured by the geographic location of Luxembourg’s winemaking region. The selection of cultivars, composition of the vintage and the maturity period combine to make unparalleled products, turning Crémant de Luxembourg into a very special experience for the palate. Red wines from Luxembourg are produced from the Pinot noir, Pinot noir précoce, Saint Laurent and Gamay grape varieties, with Pinot noir playing a particularly prominent role. The acidity is generally lower than in white wines, i.e. between 4 g/l and 6 g/l. The residual sugar content is generally below 5 g/l, while the alcohol value varies between 12% vol. and 13.5% vol.The red wines are matured in a steel tank or in oak barrels or tuns. The vintner influences the character of his product through the mash treatment ( heating, traditional maceration, etc. ). Pinot noir plays an important role as the basic wine for crémant, rosé or pressed as a white wine for the summer, as well as a complex red wine from an oak barrel.A ripe Pinot noir has aromas of black cherries, blackberries and plums, as well as a hint of vanilla and roast aromas, if matured in oak barrels.The varieties Pinot noir précoce, Saint Laurent and Gamay play a rather subordinate role.